There was a time when Asus was known for making some best in class motherboards. However, the company has progressed a lot and is now one of the top most company in the field of laptops and smartphones. Asus is known for delivering excellent quality gadgets and no matter whether it is a smartphone or a laptop, you can always trust an Asus product. The latest X555LA laptop launched by the company seems strong on paper but, will it continue the legacy of Asus or not? Let’s see in our detailed review of Asus X555LA. X555LA features the trademark concentric circle grooves on its top lid which will give you a feel of a metallic design but, in reality it is made up of plastic. This is certainly not the best-looking laptop in the market but, looking at the price tag of the laptop, you can’t ask for more. At the very first sight of the device, you will realise that the touchpad is not at the centre but is placed at slightly more to the left. On the left side you will find a power connector, Gigabit Ethernet connector, HDMI port, VGA Port and two USB 3.0 ports. The SD card slot, USB 2.0 port, DVD-RW and the audio jack is on the right side of the laptop. The device weighs just 5 pounds and measures 15 x 10.1 x 1.0 inches making it much lighter and thinner than its competitor. Unfortunately, X555LA disappoints a lot in terms of display. The display is not as bright as it should be and the sharpness level is not also up to marks. The average nit (unit of measurement for display) is considered around 200 for average budget laptops but, X555LA lags behind at just 160 nits. Audio Quality is decent as despite being small in size speakers produce a lot of volumes which is even clear and crisp. The device is powered by a 2 GHz Intel Core i3 processor and is supported by a 6GB of RAM. Multitasking is a breeze in X555LA and delivers excellent performance without any lag or stutter. Benchmark results also support the excellent performance as it scored 4220 in the Geekbench 3 performance test. The fact that this is the second best score among top six budget laptop is enough to prove the performance of the device. We tried many tests on X555LA like opening multiple tabs, running different apps in the background at the same and at each point of time, X555LA impressed a lot. If you are willing to play games on this device, you don’t need to worry as it can easily run high-end graphic games like World of Warcraft. All thanks to Intel HD Graphics 5500 that you will not find any hard time during playing such games. Asus is always criticised for filling the devices with unwanted apps and bloatware but, X555LA seems an exception here. Instead of filling the laptop with junk and unwanted files, Asus has decided to pre-install apps like Flipboard, Netflix and Candy Crush. As I mentioned at the start of the post, the touchpad of the laptop is not like other laptops as it is bigger in size and is not in the middle. The keyboard and touchpad don’t look great but once you get used to it, you will realise that it is made for great typing. The touchpad is a bitten bigger in size which helps in an easy navigation of the pointer but, at the same time it feels hollow when pressed. One of the best features of this laptop is its powerful battery. The device can last up to as long as 6 hours which is decent for a budget laptop. There are no heating issues in the device and no matter whether you are playing a 4K video or game like GTA, the device doesn’t heat up at all. Priced around INR 27,000, Asus X555LA is not a bad choice for a budget laptop. If you are looking for a laptop with longer battery life and lag free performance, you can consider Asus X555LA in your list. 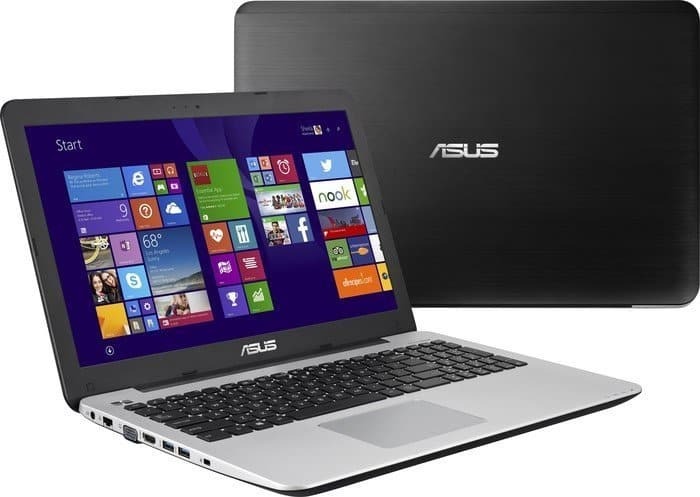 You can purchase online Asus X55LA from Amazon.